If you are in a position where the police or someone else is trying to take out an AVO against you, or you need to take an AVO against someone else to protect yourself, read on – our criminal lawyers at CM Lawyers are able to assist in all aspects of the AVO process. At CM Lawyers, our solicitors are experienced in successfully applying for Apprehended Violence Orders on behalf of clients wishing to be protected and representing them in court to have the Apprehended Violence Order made. What types of Apprehended Violence Orders are there? Apprehended Domestic Violence Orders (ADVO): This type of AVO applies where there is or has been a domestic relationship between the parties involved. Apprehended Personal Violence Orders (APVO): This type of AVO applies where there is no domestic relationship between the parties involved. Who makes the application for an Apprehended Violence Order? An application to take out an Apprehended Violence Order can be made by either a police officer on behalf of the protected person, or any person above the age of 16 who lodges an AVO application with the Local Court. What do I do if I am the Applicant in an AVO Application? In a case where you are privately making an Application, you may be ordered to serve statements consisting of evidence against the Defendant, and the Defendant may be ordered to serve statements in response. The defendant may object to the application for the AVO being made in a hearing at Court and a Magistrate will decide whether to make the Apprehended Violence Order or to dismiss the Application. The Applicant’s fear is based on reasonable grounds (this is an objective test, which means that it is based on whether the court agrees that another person in the Applicant’s position would feel the same was as the Applicant). What do I do if I am the Defendant in an AVO application? If the police on behalf of the protected person made the Apprehended Violence Order application against you, they will represent the protected person in court. Police statements will generally refer to them as the PINOP (Person In Need Of Protection). You will receive a Brief of Evidence against you. In a case where a civilian makes the AVO application privately, the Applicant may be ordered to serve statements consisting of evidence against you. In this case, you may also be ordered to serve statements in your defence. You can defend the application for the AVO being made in a hearing at Court and a Magistrate will decide whether to make the Apprehended Violence Order or to dismiss the Application. In the event of an Apprehended Violence Order being successfully made against the Defendant, he or she will not be given a criminal record. The Defendant will only be given a criminal record if he or she breaches the Apprehended Violence Order. In the event of an AVO breach, the maximum penalty is a fine of $5,500.00 and/or two years imprisonment. In addition to this, further consequences of breaching an AVO include restrictions being placed on the Defendant, such as the court stopping them from having a firearms or security licence, or working with children. What happens if I contravene an AVO? If you have breached an AVO, you have two options. Plead not guilty: In order to be convicted of this offence, the Applicant/police representing the protected person must prove beyond reasonable doubt that the Defendant contravened a prohibition or restriction specified in an AVO made against the Defendant, and that the contravention was done or made knowingly. If the aforementioned elements cannot be proved beyond reasonable doubt, then the Defendant will be found not guilty of the offence. Our solicitors at CM Lawyers are experienced in dealing with Apprehended Violence Orders and will advise Defendants of their prospects of successfully defending any charge brought against him or her. We will fight for our clients to be found not guilty of the offence. Plead guilty: If the Defendant to the breach of AVO agrees to what the police is alleging against him or her, it is in your best interests to plead guilty as it shows remorse and contrition in the court and may entitle you to a discount on your sentence. In the event of an AVO breach, the maximum penalty is a fine of $5,500.00 and/or two years imprisonment. However, contravening an Apprehended Violence order is an offence usually dealt with pursuant to Section 10 of the Crimes (Sentence Procedure) Act, which means that no conviction will be recorded, you will have no criminal record and there is no other penalty. 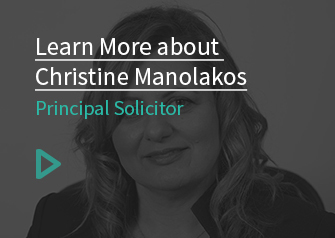 If you are seeking to make an AVO application or are seeking advice as a defendant to an AVO application, please contact our team at CM Lawyers today to set up a consultation.